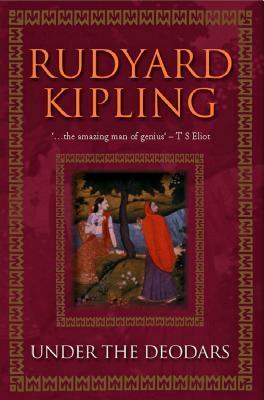 Personally, reading Kipling has always been an implicit and difficult exercise in reconciliation. An uncomfortable and reluctant compromise between an apologist for the colonial reign and ramifications in India and an enchanting teller of stories that have spontaneity for a spine and subtlety as their heads. Hence “Under The Deodars” was no exception to this peculiar norm. “Under The Deodars” is a set of short stories having the quaint and tranquil mountain setting of Shimla as the backdrop. The towering ice capped mountains bear mute witness to the deceit, debauchery and dedication of the protagonists and antagonists alike. The book begins with the story titled, “The Education of Otis Yeere”. An egregious and enterprising Mrs. Hauksbee proposes establishing a salon in Simla, but is dissuaded from putting her plan into practice by Mrs. Mallowe. The latter then alleges that Mrs. Hauksbee is experiencing a mid-life crisis and the clearest way to overpower such a situation is by becoming an ‘Influence’ in the life of a young man (a path resorted to by Mrs. Mallowe herself). Taking such an advice to heart, Mrs. Hauksbee chooses a young man named Otis Yeere. But things fall apart and take a dreary turn when the smitten Yeere kisses his self-anointed friend, philosopher and guide. Extra marital affairs seem to rule the roost in Kipling’s collection. In “A Wayside Comedy”, Major and Mrs. Vansuythen are posted to the desolate and isolated station of Kashima. Mrs & Mr. Boulte residing in Kashima give the new arrivals a whole hearted welcome. However, all camaraderie and companionship prove to be a mere charade as Mrs. Boulte suspects that her husband has fallen head over heels in love with Mrs. Vansuythen. This while she herself has been carrying on a surreptitious affair with Captain Kurrell. My favourite story in the book and one that is far removed from illicit attachments and illegitimate co-habitations is “Only A Subaltern”. In this moving tale, an enthusiastic Bobby Wick is made a subaltern in a regiment called the Tyneside Tail Twisters. Wick’s cheerful disposition and steely temperament make him a regimental favourite. When one of the soldiers, Dormer, a man of potent ill-temper and an affection towards the bottle runs the risk of causing damage to the regiment, Wick takes him fishing and ushers in a transformation in his behaviour. Wick goes on leave to Simla, but his reverie is cut short by an urgent summons from his regiment. A raging cholera epidemic has run rampant through the regiment laying to waste many soldiers. Wick rallies his men and just when the regiment seems to be back on its toes, the evil disease strikes Wick himself. “Under The Deodars” – an engrossing set of vivid stories and one abominable Panglossian paean to an even more abominable atrocity committed by a marauding and pillaging nation upon another.